PCM/ECM Driver supplies safe voltage for testing computer driver circuits. 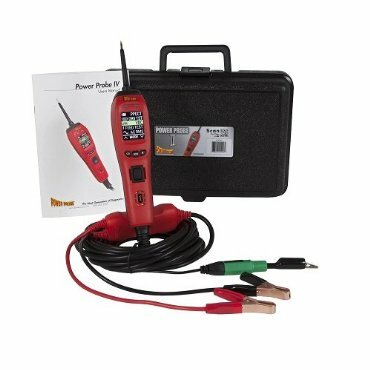 The Power Probe IV Diagnostic electronic circuit and component tester supplies battery power and ground. 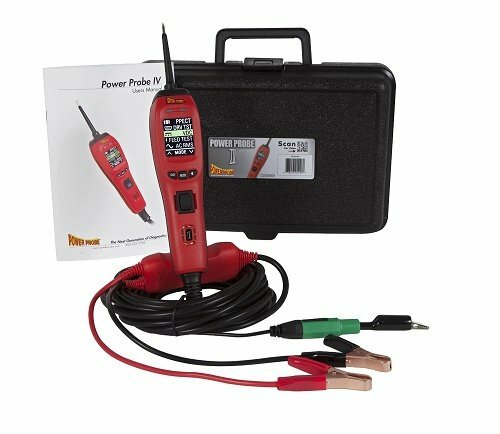 Featuring AC/DC Voltmeter, Ohmeter, Frequency, Pulsewidth (Positive and Negative) and additional diagnostic modes: Fuel Injector Tester, PCM/ECM Driver Tester and ECT2000 Signal tracer. Store: werksbay Condition: Brand New Price: $129.98 Total Price: $129.98 Buy It from werksbay No returns. Last updated: April 20, 2019 at 12:06 EST. Pricing information is provided by the listed merchants. GoSale.com is not responsible for the accuracy of pricing information, product information or the images provided. Product prices and availability is subject to change. Any price and availability information displayed on amazon.com or other merchants at the time of purchase will apply to the purchase of the product. As always, be sure to visit the merchant's site to review and verify product information, price, and shipping costs. GoSale.com is not responsible for the content and opinions contained in customer submitted reviews.